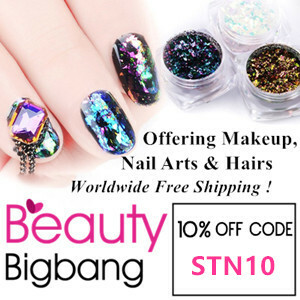 Today I am sharing a special Nail art. 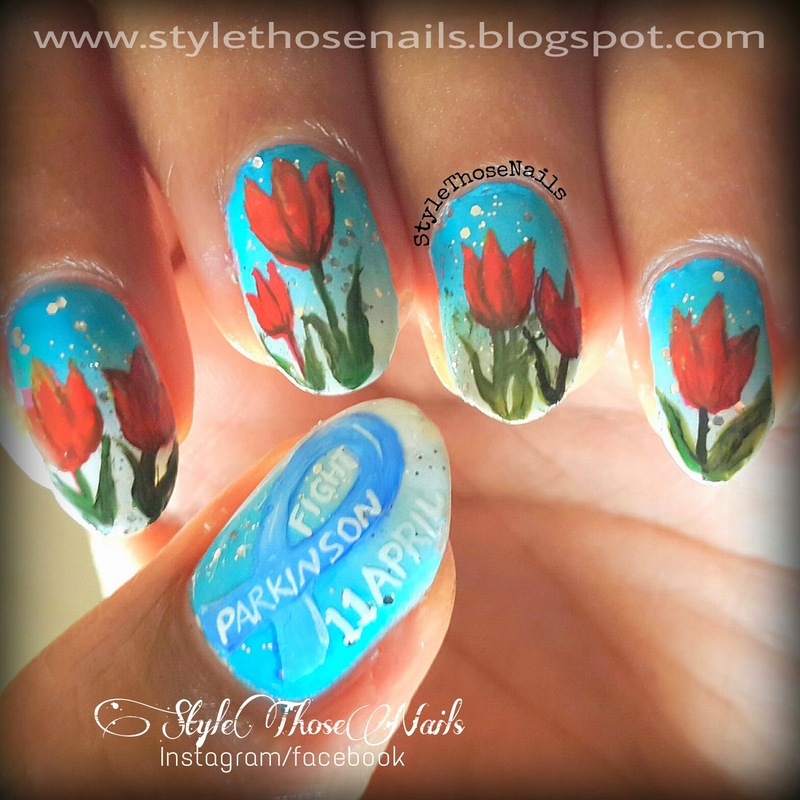 This Manicure is dedicated to World Parkinson's Day which is observed on 11th April every year. This is to mark the birthday of Dr.James Parkinson who first described about this disease in his book An Essay on the Shaking Palsy (1814). There are several websites available to share the information on this disease. I did a little research on this subject before I started my manicure. Thanks to Nailpolis Museum for asking it's members to take part in this campaign. 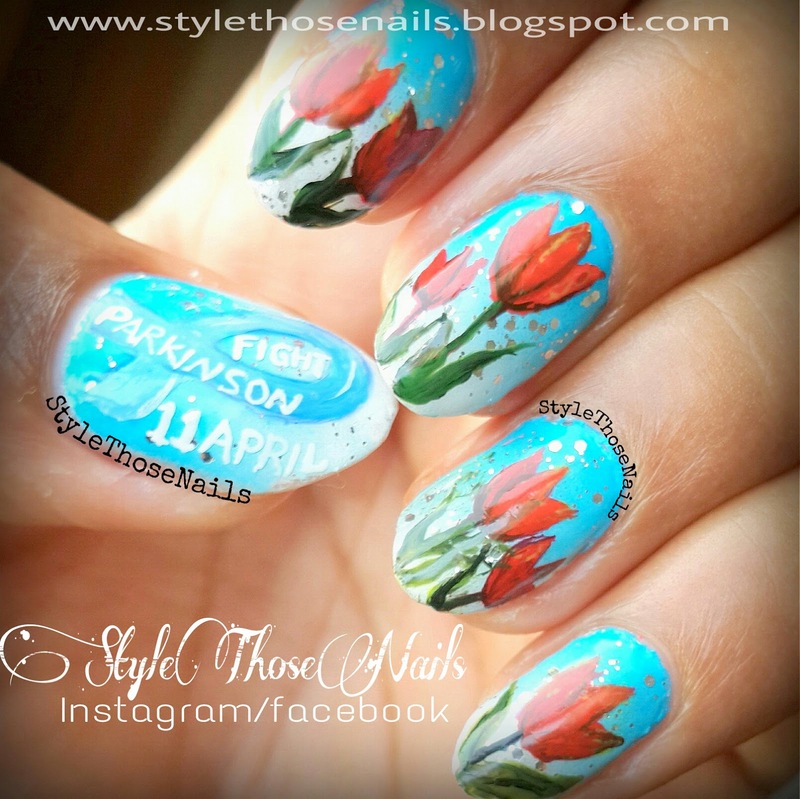 The symbol of this disease is Red Tulip so I included it on all my finger nails. I did a blue and white gradient base and added a silver glitter top coat. 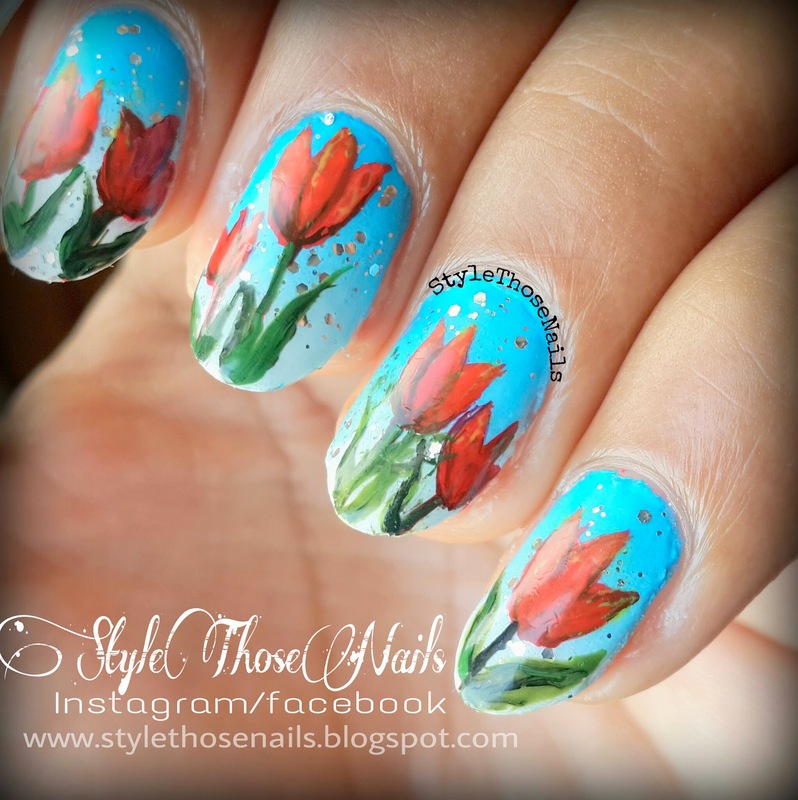 Later I used acrylic colors and thin brush to create Tulips. 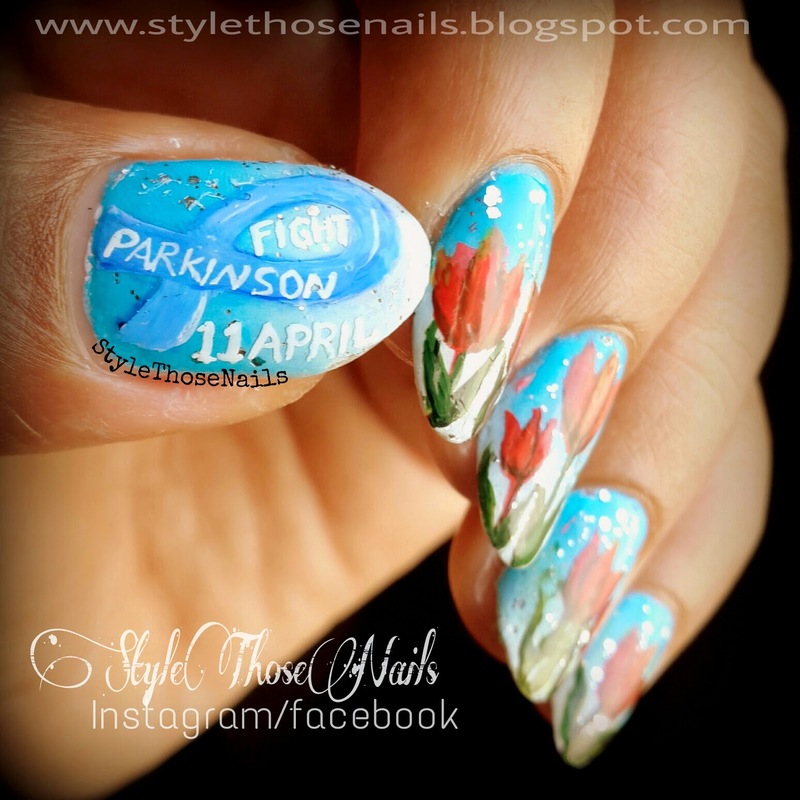 I added a blue ribbon and text Fight Parkinson on my thumb. Blue ribbon is the symbol of National Parkinson's Foundation. This disease is basically related to degeneration of neurons in our brain. Obvious symptoms are movement related. Lot of research is going on so a permanent cure of this deadly disease can be found. You can help the research by donating and can get more info about this disease on this website- Parkinson's Disease Foundation. Pass on this information to raise awareness about this disease. LIKE and SHARE and be a part of this campaign ! THANKS!